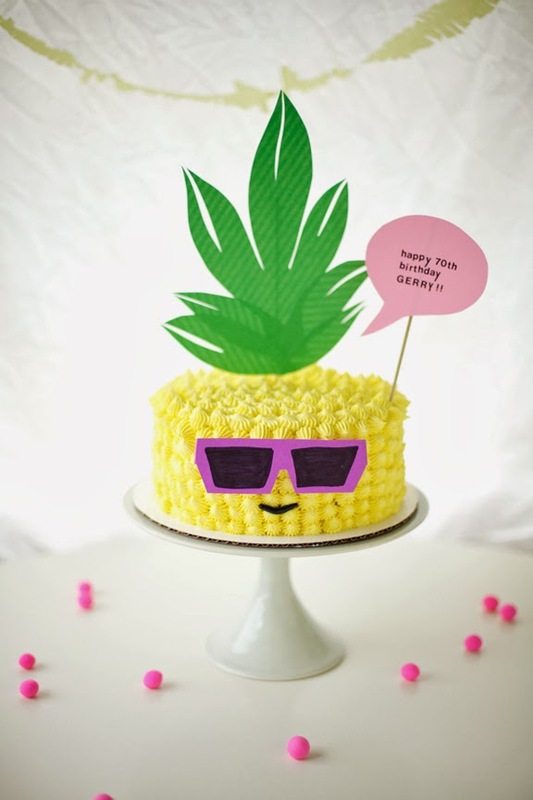 Coco Cake Land - Cakes Cupcakes Vancouver BC: My Dad's 70th Birthday + Pineapple Wearing Sunglasses Cake! 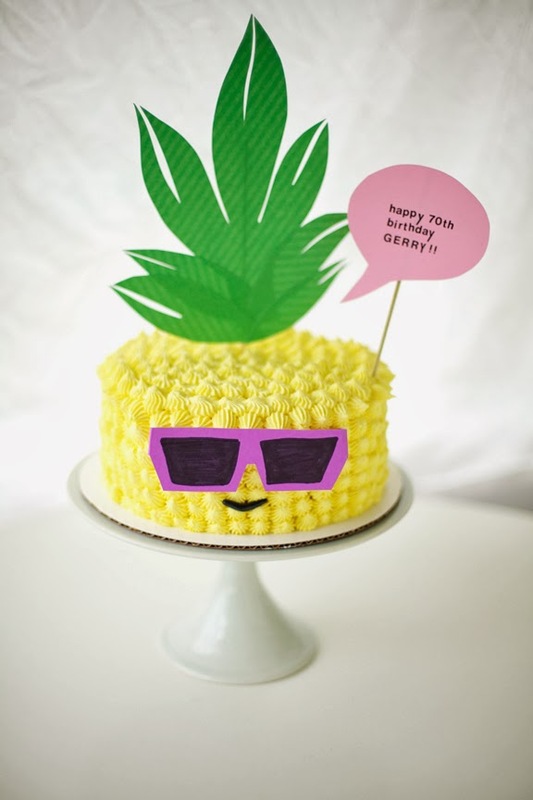 My Dad's 70th Birthday + Pineapple Wearing Sunglasses Cake! 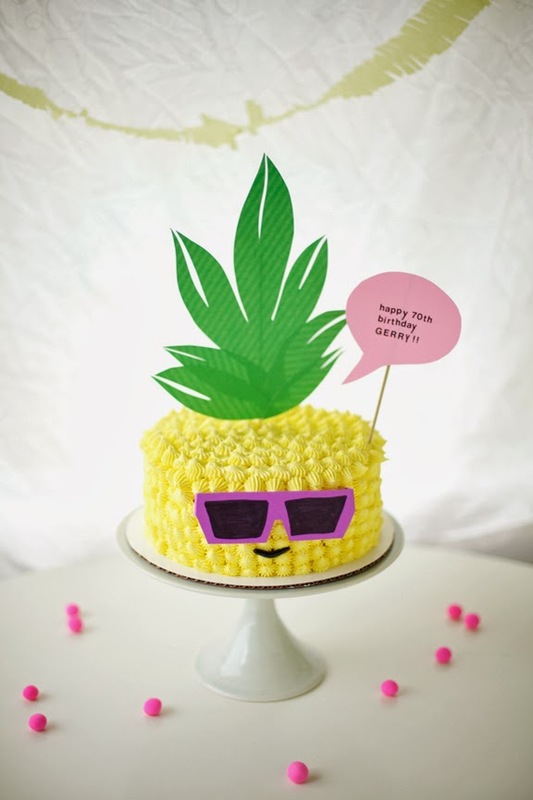 I don't think you'd expect anything less than a pineapple wearing sunglasses cake. 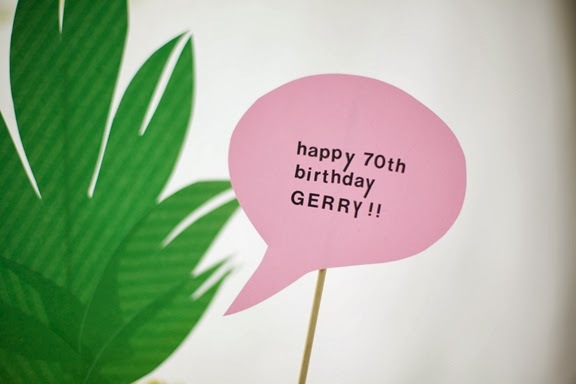 For my dad's Hawaiian themed 70th birthday party bash, of course! I started off with this guy. Coconut cake with creamcheese frosting. 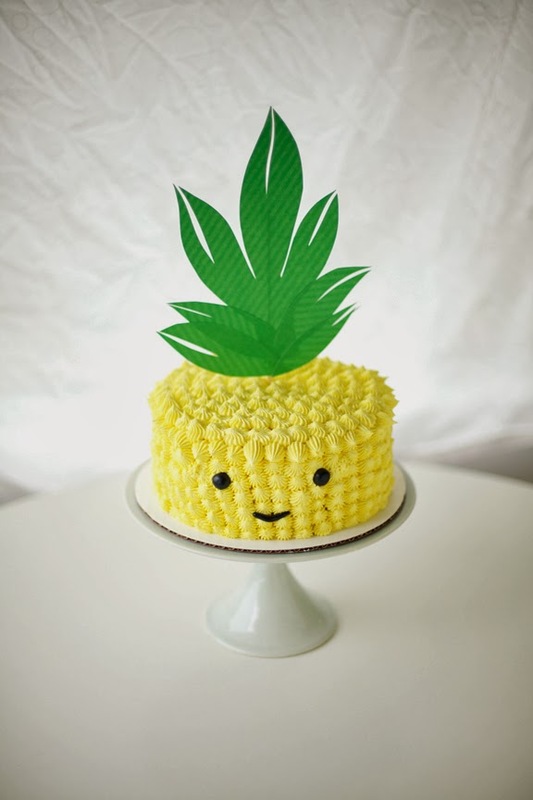 Casual, cool as a cucumber Mr. Pineapple Head cake face duder. Sunglasses were really the only choice. It had to be done. Gerry (my dad) is the COOLEST GUY EVER. 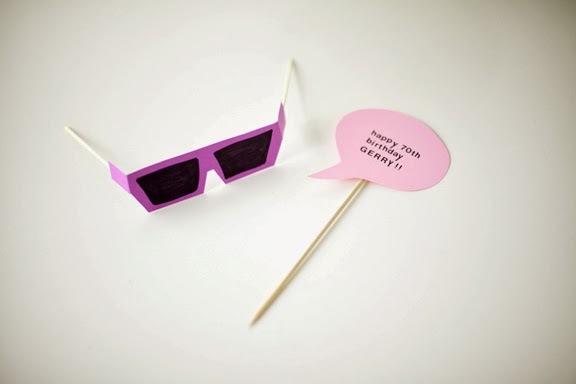 And cool guys wear shades. James Dean, Magnum P.I., Gerry Sung ... you get the idea. And here he is, with my mom - beaming from ear to ear - we had a KILLER party at our house for him! 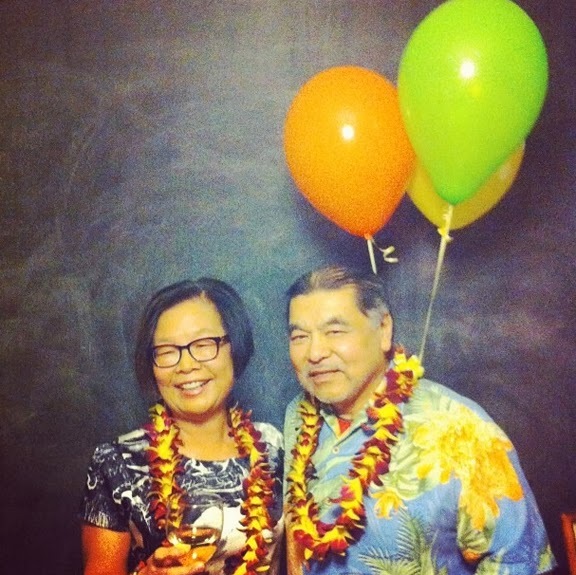 Hawaiian donuts and fresh floral leis flown in from Hawaii via one of my dad's best pals, our awesome caterer Ronnie frying it up and BBQing in three huge woks and a charcoal grill in the backyard, over sixty people partying in our home - by the way, Chinese Canadian seniors know how to party. 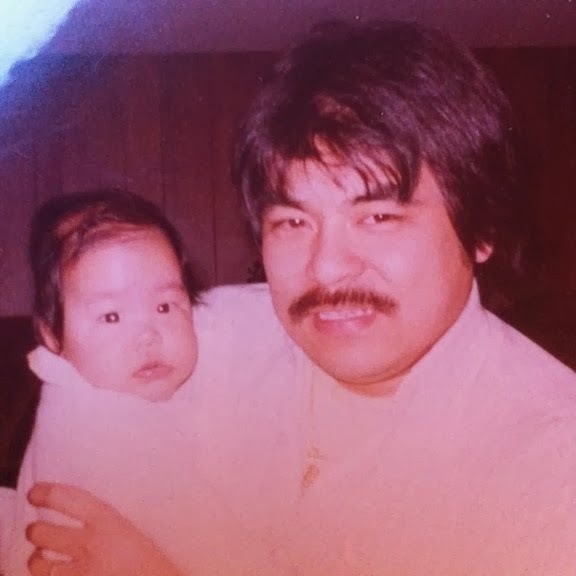 And here I am with my dad, a.k.a. The Moustache. Happy happy birthday, dad! I love you so much - thank you for always loving me, supporting me in all of my endeavours, making me laugh, and for being the COOLEST DAD EVER! Here's to many more years of love, fun, health and happiness! Aw soooooooo sweet! Love the cake and many happy returns to your Dad! @chaoslady - thank you - so glad you liked it... ! happy holidays to you! 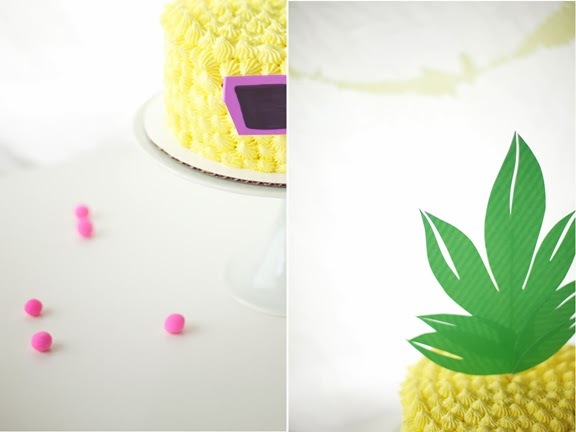 that is a mighty cool cake! ha! thanks so much, thimble!! !